First Foundation Bank processes between 100-150 loans a month. Each loan application requires multiple steps performed by geographically dispersed employees, which in the past made the process cumbersome and time consuming. Here is how Laserfiche Workflow simplifies the loan application process. After the customer filled out a new loan application at any of the bank’s branches, the customer service representative, known as the private banker, mailed the application and all related documents (e.g., tax returns) to the loan processing department. The loan package was then mailed back and forth between various departments until the loan was underwritten, approved and funded. The loan package, which could take up as much as two reams of paper, was archived in a file cabinet. With Laserfiche, the private banker scans the loan application and all related documents into a new customer file in the Pending Loans folder immediately after they are submitted. Laserfiche Workflow automatically creates the required subfolders corresponding to all of the different document types in the loan packet. An email is then sent to the private banker’s assistants asking them to gather all the required documentation and scan it into the folder. 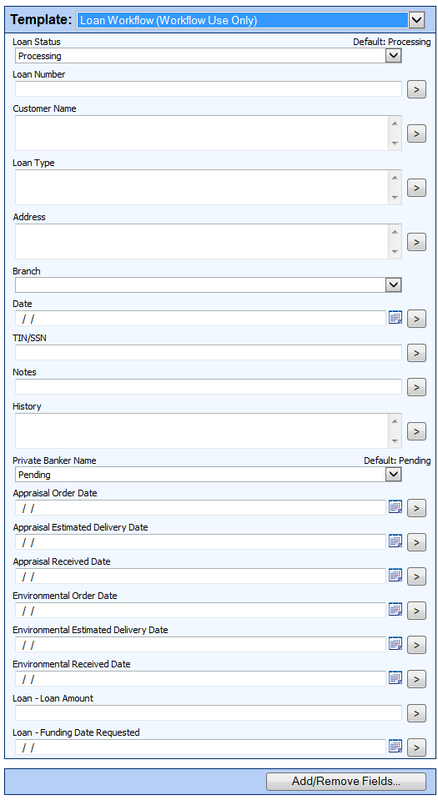 Once the information has been scanned, the private banker sends the loan packet to the credit manager for review by selecting “Send to Credit Manager” from a template list field. 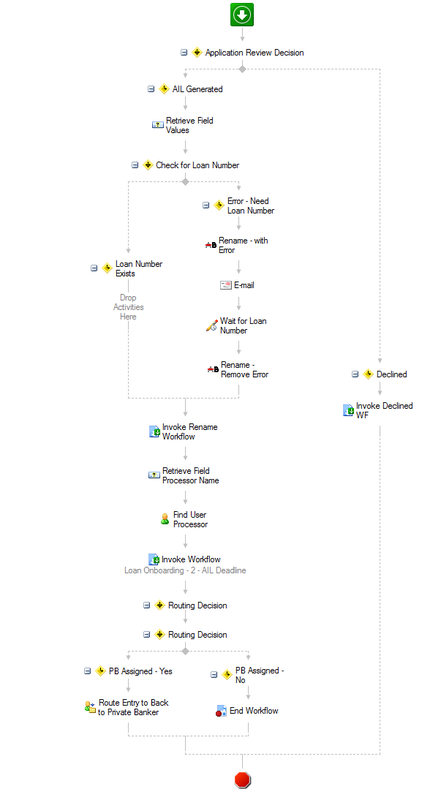 Laserfiche Workflow then creates a shortcut to the application packet in the credit manager’s folder. The credit manager can approve the packet, deem it incomplete or decline it. If the packet is incomplete, an email notification is sent to the appropriate processor, who generates the additional information letter (AIL). The AIL lists all of the information still needed for the loan to be finalized (e.g., a copy of a title to additional properties owned by the applicant). The private banker is notified of the AIL and sends a copy to the applicant. The applicant brings in the additional documents and the private banker scans them into the loan packet in Laserfiche. The packet is routed to the credit manager’s Laserfiche folder for additional review. If the packet is approved, the credit manager selects an underwriter. 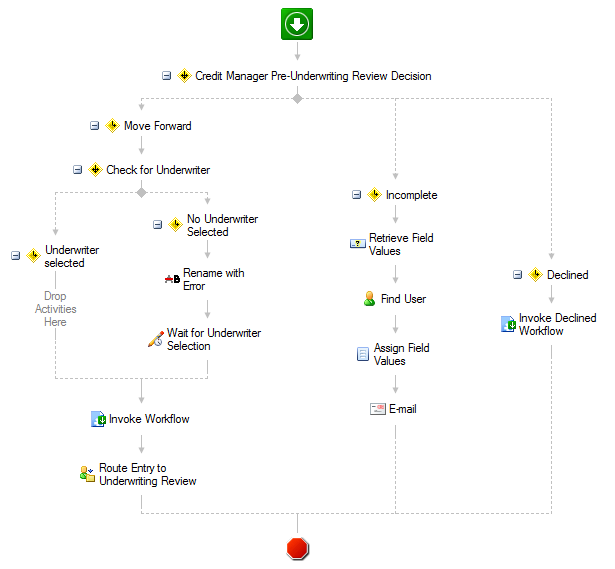 Laserfiche Workflow then creates a shortcut to the loan packet in the underwriter’s folder. Once the loan is underwritten, it moves to the loan committee for approval and sign-off. Once the loan committee signs off on the loan, the underwriter changes the status of the packet to Approved and Laserfiche Workflow creates a shortcut in the private banker’s folder. The private banker notifies the applicant that the loan has been approved and prints the loan documents for the client to sign. The private banker scans the signed documents back into Laserfiche. The loan is then moved forward to the credit manager for final review. If approved, it is sent back to the processor to be serviced. Once the loan is serviced, the whole packet is moved to the Loans by Number folder and a shortcut is created in the Loan by Name folder. The loan remains there until it is up for renewal. Tags the folder with a Loan Renewal tag. 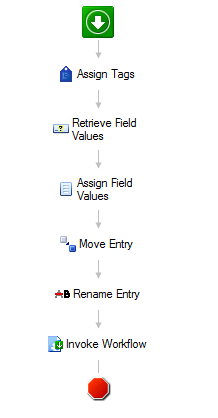 Moves the folder to the Pending Loans folder. Appends “Renewal” to the end of the folder’s name. 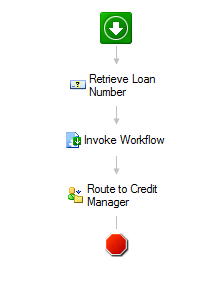 Another workflow is invoked which sends the loan back to the credit manager for approval. The loan then moves through all the steps outlined above. Audits are quick and painless. 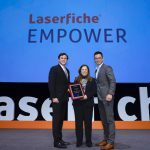 The files that the auditors want to see are copied into a special folder in Laserfiche that they can view remotely through Laserfiche WebLink. Visibility is increased. A manager can use column profiles to quickly see how many loans are assigned to each processor and assign loans based on workload. This helps maintain a consistent workload for each employee. Faster processing. Loan applications are processed much faster and files are no longer lost or misfiled. Paperless processing. In the future, the initial loan application will be created in Laserfiche Forms—making the whole process paperless from start to finish.